Commercial Refrigeration, Lakeland, FL | Johnson's Mechanical Inc. Commercial Refrigeration, Lakeland, FL | Johnson's Mechanical Inc.
We provide quality and professional commercial refrigeration services for your Lakeland, FL business. Does your company offer vending to its employees and guests, but you’ve been having some problems with your machines? Do you need to install an ice machine, but haven’t found anyone who knows the proper installation techniques? 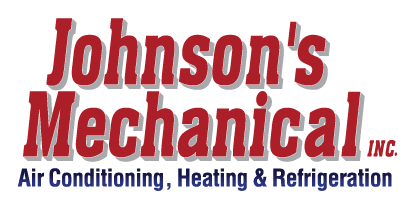 At Johnson’s Mechanical Inc., our team has experience with commercial refrigeration and can assist your company with installation, maintenance and repairs. Installation – When you’ve bought a new vending machine or commercial refrigeration unit, it’s important to know that it has been installed properly. We have the expertise to install a number of different types of commercial refrigeration units, so you will feel sure your machines are working correctly. Maintenance – Sometimes commercial refrigeration units need maintenance to keep their coils clean and ensure they aren’t overheating and maintain their temperature. We can set you up with a maintenance plan to ensure you get the full life out of your machines. Repairs – Machines sometimes break down, and you need a company that has the expertise to work on a variety of commercial refrigeration units to get them up and running again. We’ll complete the necessary repairs, so you can enjoy your chilled beverages and food items. Whether your office uses chilled water systems, ice machines, or walk-in freezers, our team at Johnson’s Mechanical Inc. provides quality and professional commercial refrigeration services for your Lakeland, FL business. We offer fast and reliable repairs, service all major brands regardless of where they were purchased, and our mission is to ensure our customers are satisfied. Call us today for all your commercial refrigeration needs.